More and more people realize that they can grow some of their own veggies and herbs themselves. In this article I will show you how you too can get started growing your own produce! There are several benefits to growing your own food. You help reduce the pollution caused by transporting our food half way around the planet. By choose to grow organically and not spraying with pesticides and other chemicals you can increase your overall health and feel better! It’s amazingly fun to grow your own food, and you will get a deeper connection with what you actually eat. If you have kids in your family, you can involve them and lay the foundation for a healthy diet early on. Even if you live in an apartment, you can grow some of your vegetables yourself. Maybe you can team up with some of your neighbours and create a community garden? If you have a balcony, a veranda, a porch or any little space available, then you can get started right away! Read about some vegetables you easily can grow on your balcony here. So, what do you need to start growing vegetables in the city? Did you know that there are also a lot of flowers you can actually eat? So you don’t need to remove all your flowers in favour of vegetables. You can mix and match flowers, vegetables and herbs. That way you also create a very interesting garden to look at! You will not get full from eating flowers of course, but they can be used to decorate and garnish your food. Here you can read about some edible flowers you can include in your container garden. You can grow a lot – even in a small space. Today there are for instance dwarf fruit trees that will do fine in a container on your balcony. Or what about including some gooseberry bushes? These don’t get very large and they produce super good berries. Herbs are also easy to grow, and they don’t take much space at all. Here is a list of three herbs that will grow well in containers. Most herbs also have a positive impact on your digestion, as they help reduce the formation of gas. So you should include herbs in all your meals, not just for the taste, but for your digestion. Herbs are also very easy to preserve so you can use your home grown herbs even in winter. Here you can have a look at some healthy vegetables you can easily grow in a small space in the city. The next thing you will need is some good soil. When you first start your garden, you will probably have to buy some soil. Try to get some high quality soil. Your local garden centres will have soil, or maybe the city has a composting service? Once you get started gardening, you will most likely look into creating your own compost. This way you don’t have to buy new soil and compost each year, you can just reuse the soil and add in your own compost. There are several composting methods that will work even if you live in an apartment. Here you can have a look at a comparison of three different methods. When you are growing in boxes, pots and other containers it is important to remember that the soil has a limited amount of nutrients. That is why you need to add fertilizes during the growing season for your plants to produce well. There is a huge selection of fertilizers to choose from. I recommend using an organic variety. If you are composting yourself you will also have compost tea available, so you can use that to fertilize your plants. (Compost tea is the liquid that comes out of the compost bucket after a while.) Or, you can make your own nettle compost for your plants. Read more about how to do that here! You will also need seeds or small plants to start your garden. 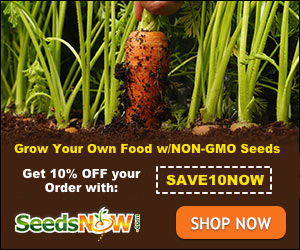 There are several companies that sell high quality organic seeds, or heirloom seeds online. Just make a search on the internett and find one in your area. You can also try and find a local marked where you can buy or swap seeds and small plants. If you want to learn more on how to create a successful vegetable garden on your balcony, I’ve written an e-book in this. The book looks at several topics that are crutial for a successful garden. You will learn how to choose the right plants for your climate, how to find solutions for watering and how to compost in an apartment so you can create your own soil. Don’t forget to sign up below for news and updates from the Cold Climate Garden.